FIT “Indent” Arms: Concaved design increases strength and dent resistance, matched to 23.80mm (24mm)..
New Team Crank. The Legacy Uses A Square Arm Shape And A Much Stronger Invest Cast Pedal Boss. 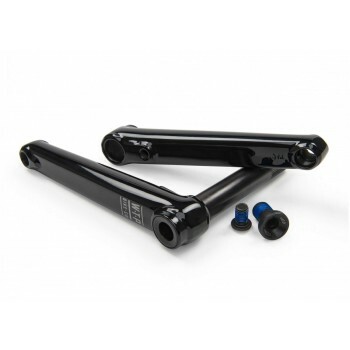 ..
BMX Pro 48 170mm Crank Black by Salt Plus ..
Substance XL cranks, a single bolt design 2.5pc crank with hefty 24mm XL spindle and an all new flus..